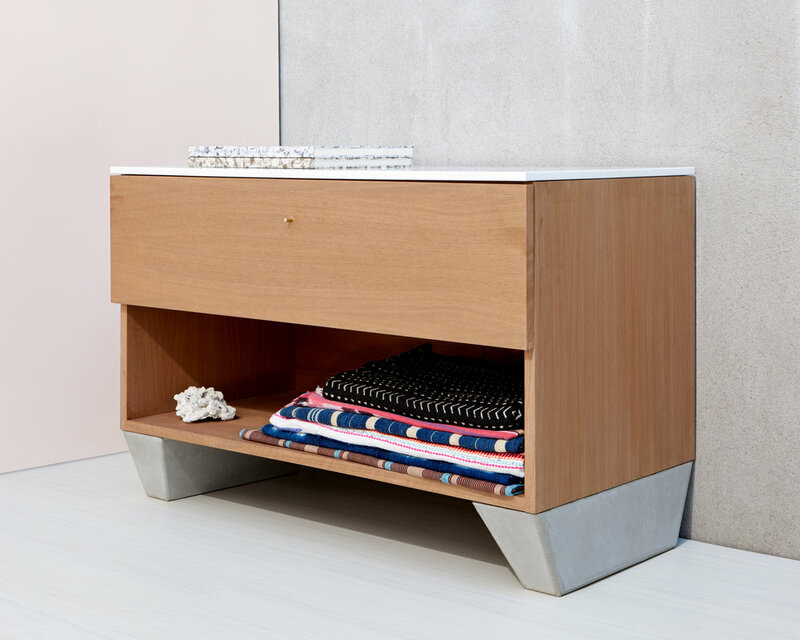 The Double Geode with One Drawer is made to order and can be made in a size of your choosing in a variety of wood, concrete, or other finishes. Request A Quote for custom pricing and lead time information. Lead time for custom pieces can vary from 6-12 weeks depending on workflow and complexity of the furniture piece.